Vidya Sury introduced 55-Fiction here. 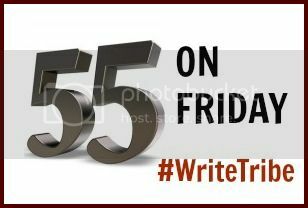 Write a piece (or many pieces) of 55-fiction and link your post/s here. The linky will be open until late on 6th December 2013. It’s good to see everyone taking part in each activity so enthusiastically. Here is my first try. Suggestions and feedback would be appreciated! ummm .. i don’t see a prompt? Not sure is it my browser issue? 😀 Not at all Raji – we are so used to seeing “Conditions apply” in terms and conditions – it is easy to miss!